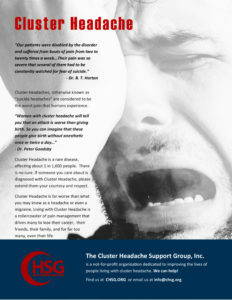 Patients with a pre-existing primary headache who in association with medication overuse develop a new type of headache or a marked worsening of their pre-existing headache that, in either case, meets the criteria for 8.2 Medication-overuse headache (or one of its subtypes) should be given both this diagnosis and the diagnosis of the pre-existing headache. Patients who meet criteria for both 1.3 Chronic migraine and 8.2 Medication-overuse headache should be given both diagnoses. Headache caused by a disorder of the cervical spine and its component bony, disc and/or soft tissue elements, usually but not invariably accompanied by neck pain.